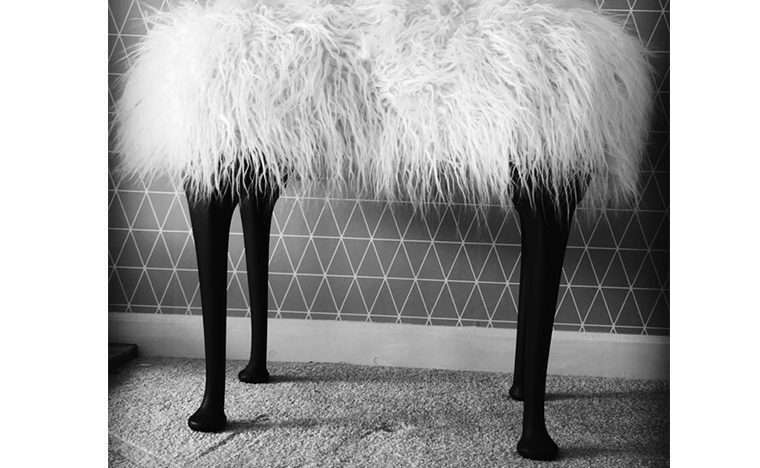 Must be something in the air… animals on the brain! 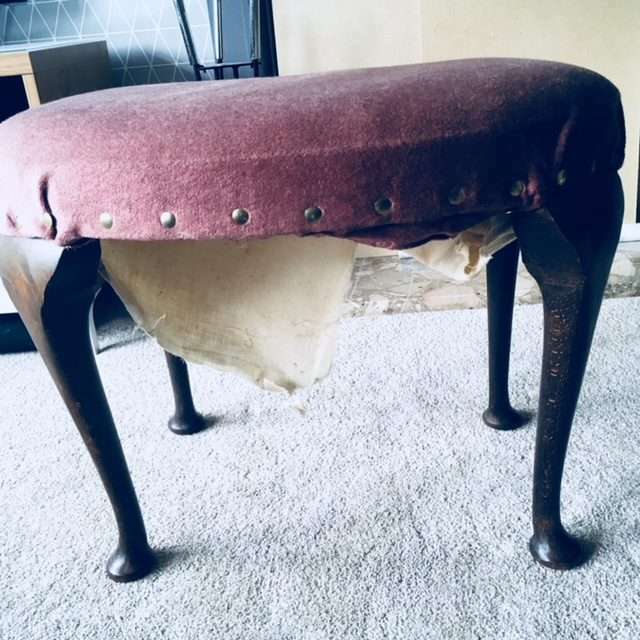 This time it’s an antique kidney shaped piano stool I found in a sorry state that I made into a shaggy sheep seat. 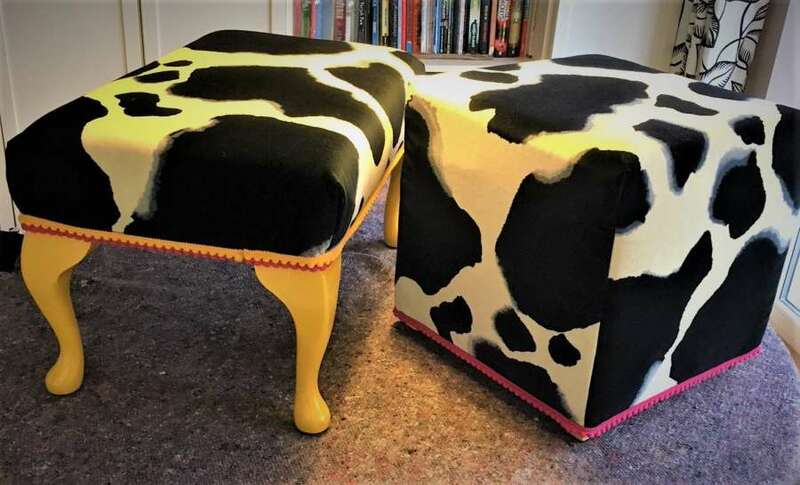 Nicknamed the ‘Baa Stool’. Now bringing a smile to it’s new owners’ face in the Cotswolds. Feeling fulfilled today. 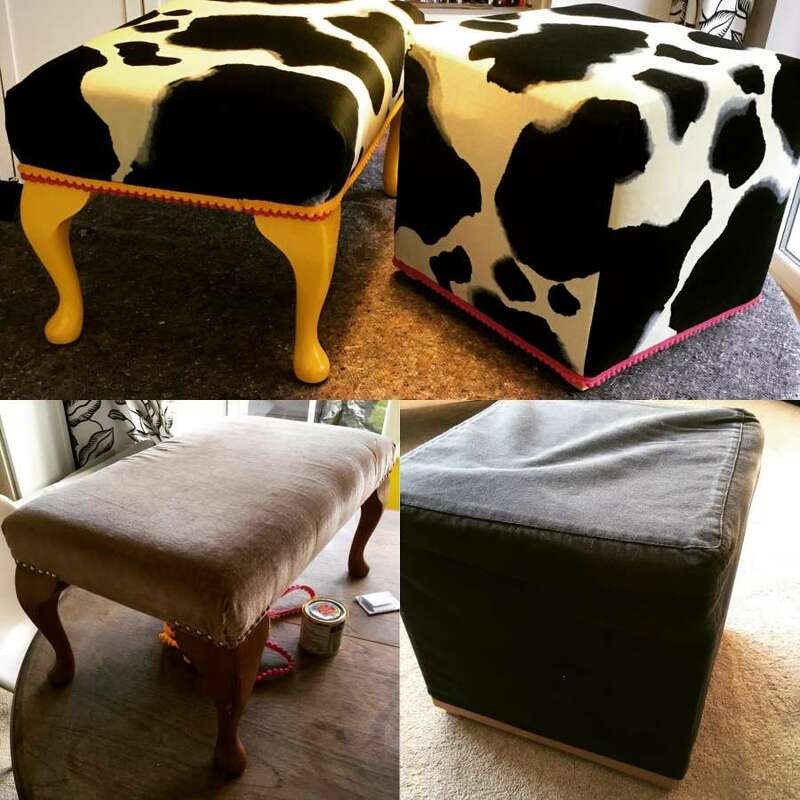 Found these two unloved footstools at the recycling centre, took them home, stripped them back, gave them some tlc and voila. From dull and duller to cowabunga in 24 hours! Less waste and more lovely for the planet. Both already off to happy new homes. Win win!